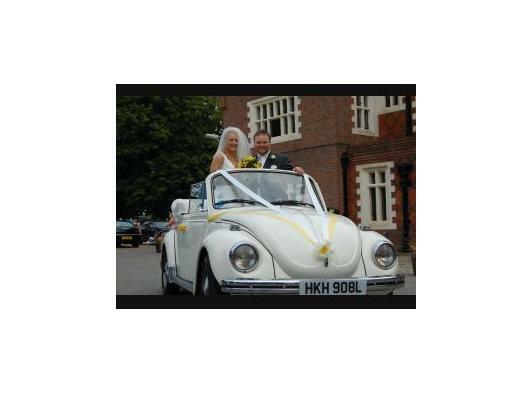 Chauffeur Driven Beetle Convertible available for Weddings and other special occasions. 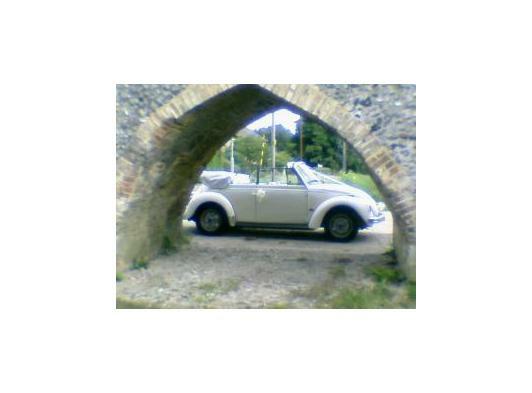 The car was built in 1972 and first registered in Napoli, Italy. It was purchased by the present owner in 1984 and in 2004 was re-upholstered in white Connolly Leather and re-fitted with Victoria & Albert bridal red carpet. Our all inclusive rates include a smartly dressed chauffeur, ribbons of your choice and a bottle of locally produced sparkling wine. NB:mileage is included also. 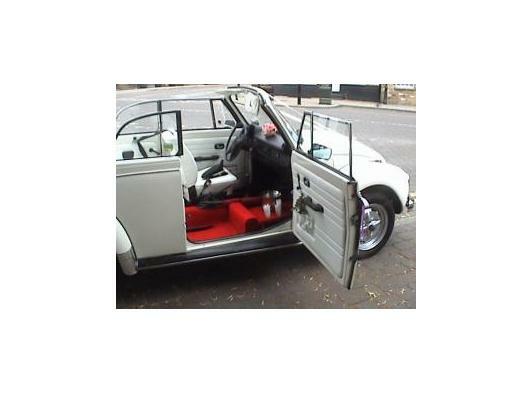 With the front seat removed for easy access, we can transport 2 people at a time in comfort. So if you are looking for something a little bit different with its own unique charm, character and style please contact us for a quote today.